Serbia: Who Are Irina And Jana? Irina Brodić and Jana Paunović will represent Serbia at this year’s Junior Eurovision Song Contest 2017 in Tbilisi, Georgia. Let’s get to know a bit more about them. Twelve-year-old Irina Brodić was born on 3rd November 2004 in Šabac, Serbia. Earlier this year, Jana played the main part in the production of the musical “Annie” and had also taken part in the Berlin International Music Festival. As well as singing, Irina takes pride in her piano skills, winning several awards and competing in competitions. Jana Paunović is also twelve years old and was born on 7th February 2005 in the Serbian capital of Belgrade. Jana is no stranger to singing competitions, as she has participated in Pinkove Zvezdice in 2014 in which she competed against Serbia’s JESC 2015 participant, Lena Stamenkovic. Jana also took part in “Annie” with Irina earlier this year. 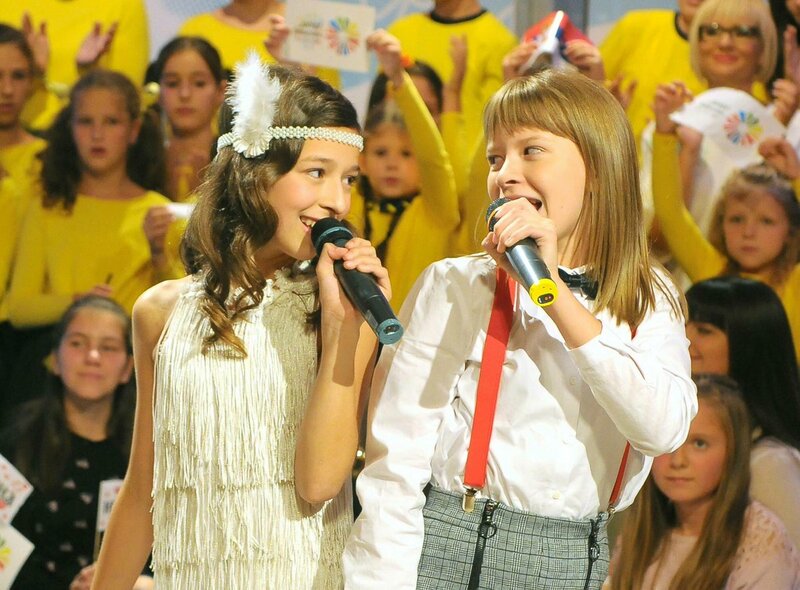 Irina and Jana took part as a duo in the Serbian national final for Junior Eurovision 2017, in which they beat two other hopefuls. The winner was decided by 100% jury vote, in which saw the pair win with 56 points. On the jury was past Junior and adult Eurovision representative Nevena Božović. Their song “Ceo svet je naš” is sang entirely in Serbian, but the song title translates to “The World is Ours”. Serbia made their debut in the Junior Eurovision Song Contest in 2006. They were represented by Neustrašivi učitelji stranih jezika on their debut with the song “Učimo strane jezike”, finishing 5th with 81 points. Serbia went on to compete annually until 2010, after which point RTS withdrew from the contest due to financial difficulties. Serbia returned to the contest in 2014 and has gone on to compete in the contest annually. Netherlands, Junior Songfestival, Latest News, Junior Eurovision 2017Netherlands: Who are Fource?